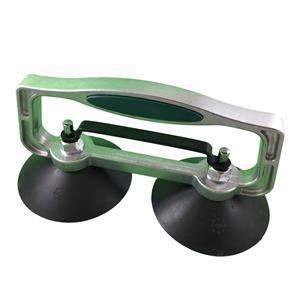 Spider Double Suction Cup with Quick Release 4"
This tool is most helpful in moving objects. Designed for use on smooth, non-porous surfaces, this lifter features two 5" suction cups with an aluminum handle. 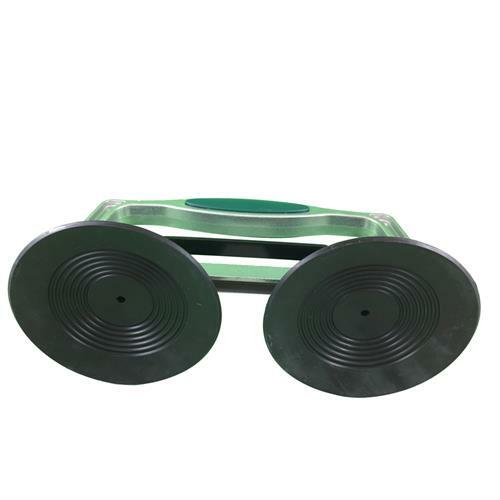 High quality rubber ensures extended life (2-year life). 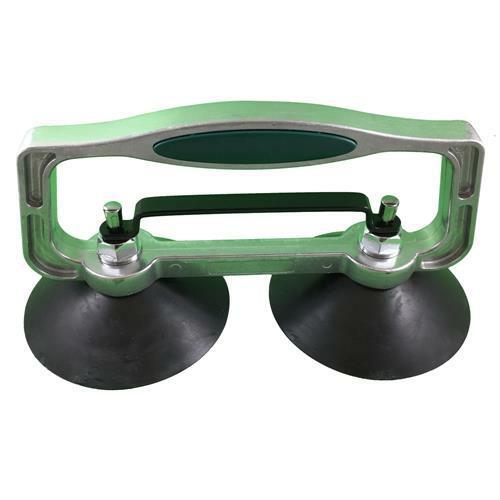 Suction is achieved by simply press down both suction cups. To release suction power, pull the quick release handle. All aluminum body with center handle for easy lifting and release. Capacity: Horizontal - 90 lb., Vertical- 70 lb.